A hotel in Austria arranges for dogs to go to the opera without their owners. The cultural nights out for canines are organised by the five-star Park Hyatt Vienna, which allows people to check in with their dogs or cats, and aims to be as pet-friendly as possible. If a guest wants a night out in the Austrian capital without his or her dog, but doesn't want the pooch to get lonely on its own in the hotel room, staff can step in. In addition to the more usual requests for dogs to be walked, the hotel can arrange for an employee to take the animal to the theatre. "If the pet wants to go to the opera by himself we will arrange their ticket if the opera allows it," says the hotel's general manager Monique Dekker. 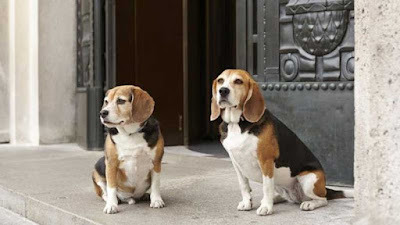 The Park Hyatt Vienna's "Very Important Dog" programme costs €35 (£27, $40). Food and other services, such as dog walking or sitting, or a trip to the opera, are then charged on top. do they howl along with the opera?